Sustainable Business: Giving back to Our Community is Important to Us. At G.J. Hopkins, we believe that promoting a healthy, thriving place to live is a vital part of building a better community. As a sustainable business, we participate in local fundraising events to give back as much as we can to our people and planet, while maintaining profitability. G.J. 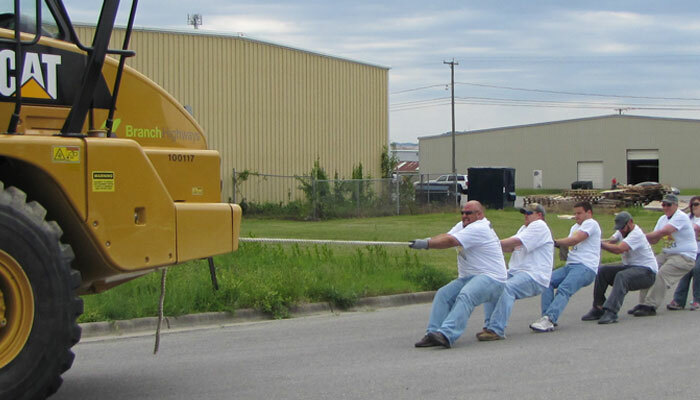 Hopkins employees practicing for CHIP’s “Tug for Tots” fundraiser.